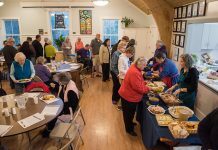 A community meeting generates useful information. 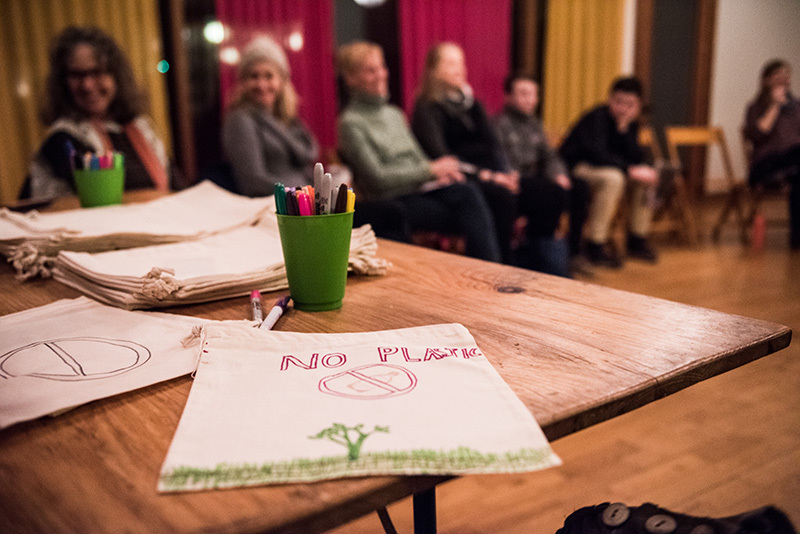 Last Tuesday evening 30 community members met at Island co-housing in West Tisbury to figure out ways to reduce their use of plastic packaging, as well as plastics from shops, restaurants, and disposables. After an informative introduction from Ms. Benjamin, people introduced themselves and shared their ongoing efforts. 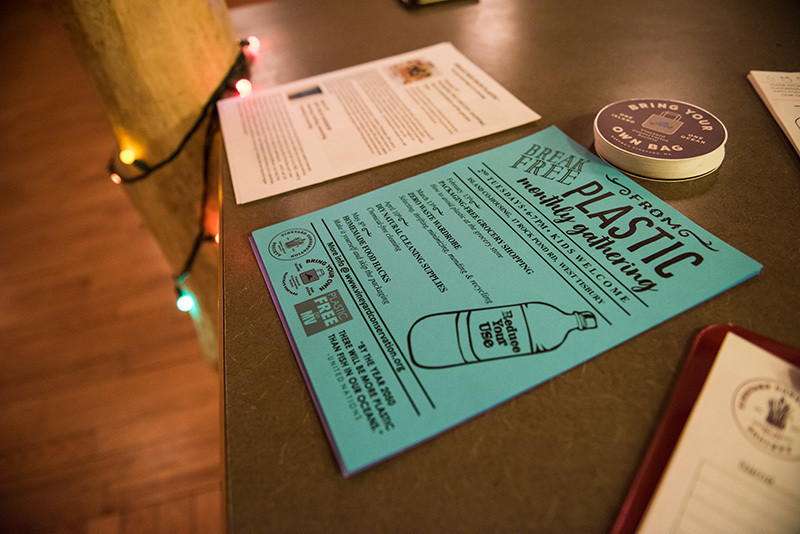 Most who spoke were aware of the problem plastic creates in our environment, shared their dedication to reducing waste, and their eagerness to learn more. 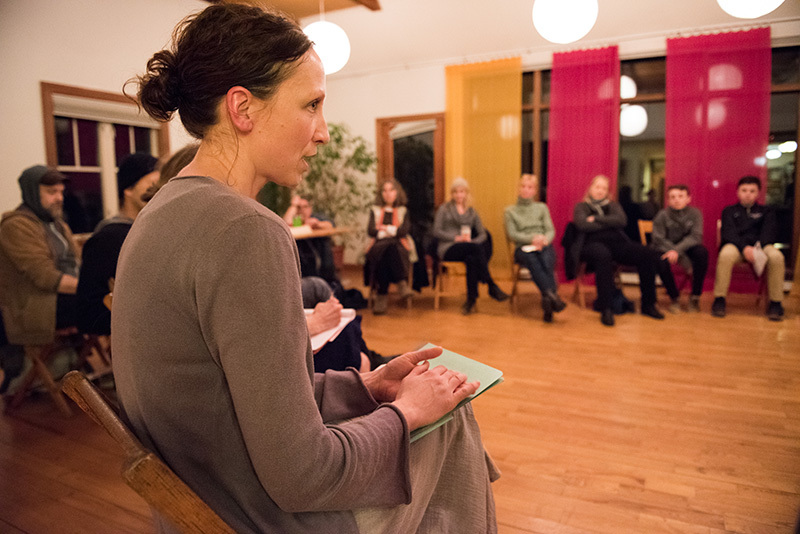 In an open discussion, efforts and solutions were shared. 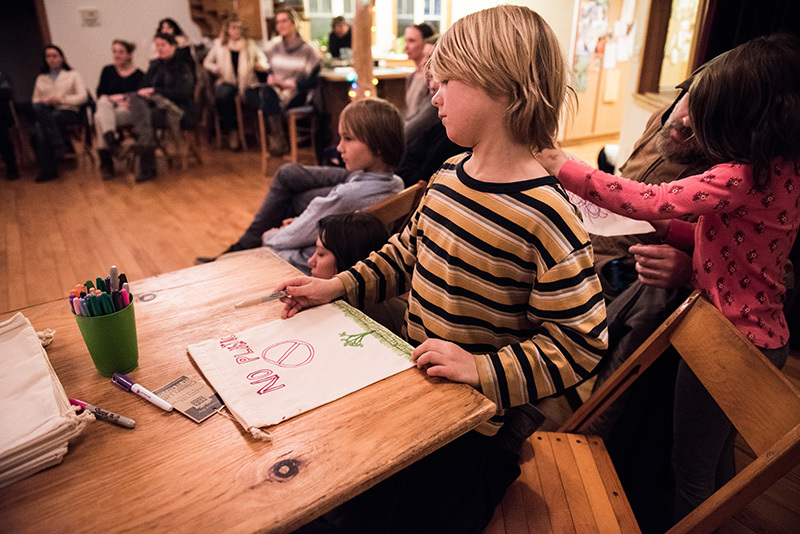 Sarah Vail, for instance, a health and consumer science teacher at the Edgartown School, explained how her family separates her household waste into five different categories: paper, plastic, aluminum, disposing of leftover bones in the fire, and composting everything possible. She explained how she can eliminate even the plastic bag that holds the garbage in the bin. All her efforts save money on dump fees due to the reduced amount of trash and also lessen the impact on the environment. Wilson Riley, 16, an MVRHS student, said he was interested in the elemental composition of plastic, while his brother Sam Riley, 13, a Tisbury School student, asked Ms. Benjamin about the consequence of humans ingesting fish polluted from consuming plastic particles that break down in the ocean. 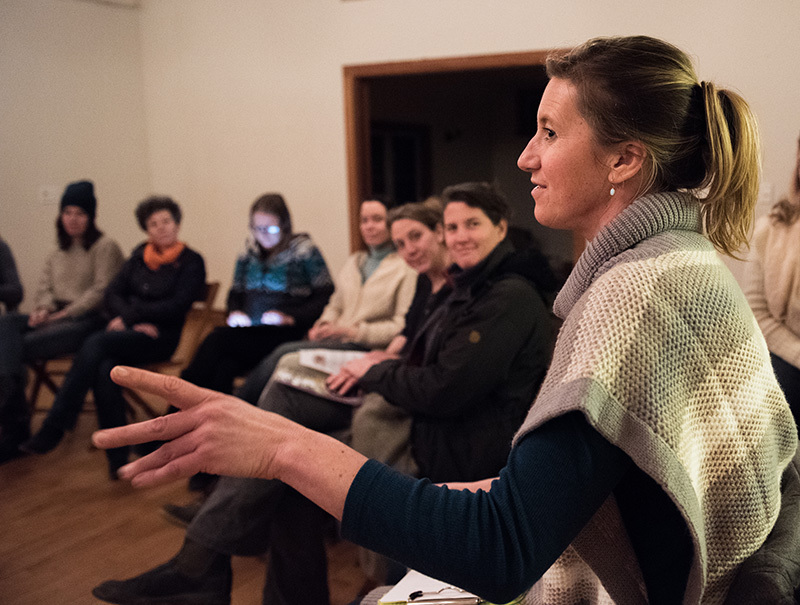 Three women from the Island Grown Initiative added to much to the conversation; Sophie Mazza began a waste station at the transfer station in Edgartown for compost. While a playroom was set up for the youngest kids, they later joined the group and decorated the eco-produce bags that were free to all. They listened quietly and actually seemed interested in what the adults had to say. Educational pamphlets were available, outlining problems with plastics and the solutions and resources found in movies and books. Then came some practical tips for dealing with plastic consumption. Ms. Hitchens demonstrated how to shop for fresh produce without using plastic packaging. 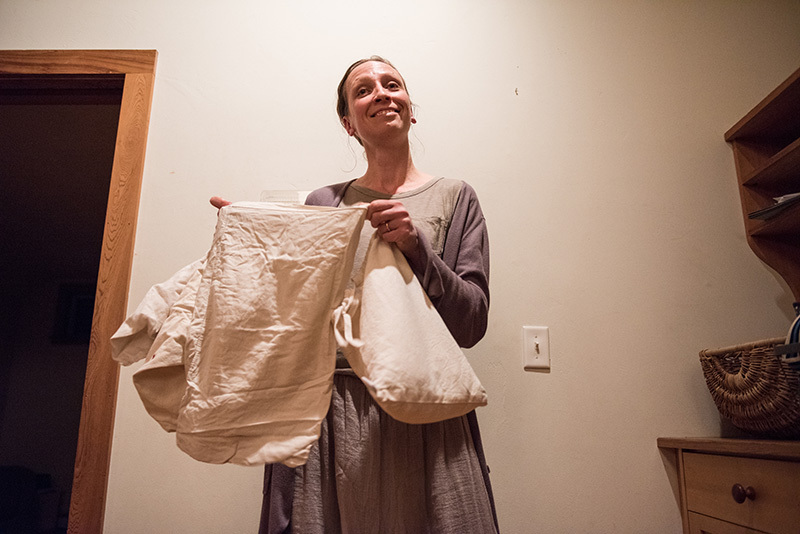 Straight-up cost effective, sensible ideas were exchanged, such as using pillowcases for bagels, shoe bags in place of produce bags, using Pyrex dishes for cut cheeses, glass containers for bulk items such as cereal, and grinding coffee into reusable paper coffee bags. Some stores are already happily working with customers who wish to avoid plastic, and the hope is that all stores will follow. Ms. Benjamin noted the uptick in community awareness and action as the result of a broad spectrum of educational programs conducted by schools and other group efforts. There is a combined effort to compost more, make water refill stations more available Island-wide thus reducing plastic bottle usage, and a student-led movement to ban helium balloons that end up in the water, posing dangers to our sea life. Restaurants are getting rid of plastic straws, the MV Ice Arena installed a water refill station, and as education in our schools and community grows, we will see slow but important improvements. The average American throws away over 200 pounds of plastic every year. If we want to limit the amount of toxins we are releasing into the environment and our exposure to toxic chemicals, minimizing plastic packaging at the grocery store is a great place to start, so bring those eco-friendly produce bags inside your reusable shopping bags. 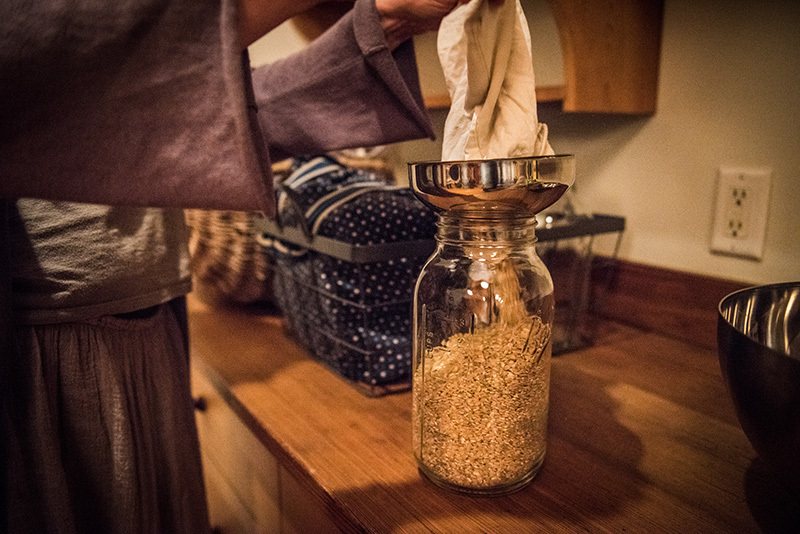 In the following months the discussion group will focus on Zero Waste Wardrobe (March 13), DIY Natural Cleaning Supplies (April 10) and Homemade Food Hacks that make it easier to skip the packaging of store-bought snacks (May 8). Subjects for subsequent group meetings will be generated from group interest and questions. Any and all are invited to come and add their questions or suggestions to the conversation. For more information visit vineyardconservation.org or call 508-693-9588. Instagram.com/Little.house.on.the.vineyard.